We have already seen a range of new Google Android Smartphones from Dell, as well as an Android Tablet, now we have a news Dell Smartphone that will come with Microsoft’s new mobile OS Windows 7 Phone, The Dell Lightning. 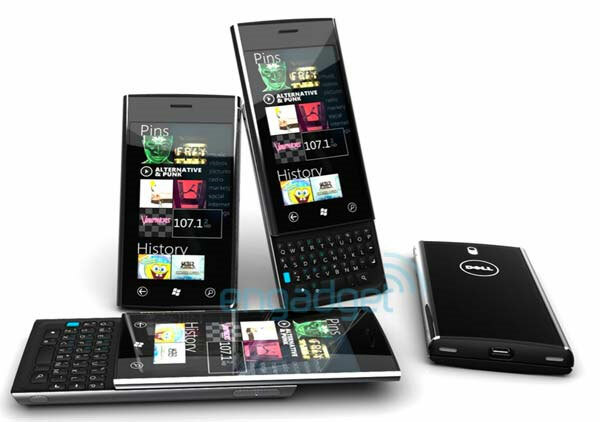 The Dell Lightning will be the first smartphone from Dell to use Windows Phone 7 and it comes with a range of features which include a 1GHz Qualcomm processor, a 4.1 inch WVGA OLED Display, and a five megapixel camera with integrated autofocus. Other specifications include WiFi, GPS, Bluetooth, and accelerometer and proximity sensor plus a digital compass. There is also a microSD card slot and a 1400 mAh battery. There is also a slide out portrait QWERTY keyboard, and it looks like it will be available some time in Q4 of 2010, although there are no details on pricing as yet. Check out our Samsung Omnia 7 Review for more details on Windows Phone 7. Have a look and our article on Android vs iPhone to see which smartphone and mobile platform is best for you.